Microscope, Senior student, AIS M2L,built in illumination (tungsten lamp 240v/20w), 4x,10x,40x objectives,10x wide field eyepiece with pointer,high quality optically coated glass optics. Coarse and fine focus controls. 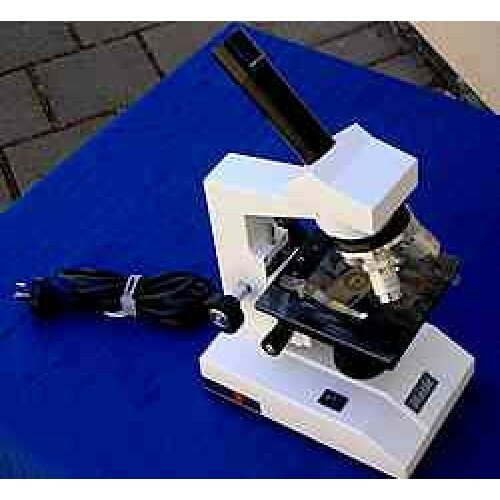 The most popular of all quality grade Senior microscopes. 5 year warranty,with spare parts in South Australia.